In the 1970’s Mike worked as carpenter on various apartment construction projects during the apartment construction boom on the south side of Birmingham. From there he ventured south to the Gulf Coast where he worked as a carpenter and a journeyman plumber and electrician on various condominium high rises and beach home construction projects. 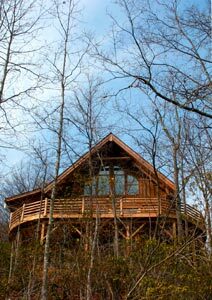 Mike has also had experience in the construction of log homes. Known as The House Whisperer among his peers, Mike endeavors to “listen” and use all of his senses, coupled with his knowledge, experience, and state of the art tools, to fully evaluate the property and detect deficiencies and safety issues and bring them to the attention of the client in a concise and easy to understand manner. Alabama House Whisperer uses Home Inspection report software to deliver their Home Inspection reports complete with color photos anywhere in the world with a click of the computer mouse. We do inspections Monday-Friday and Saturday by special appointment. Contact us we answer the phone and text messages 7 days a week! John Mize graduated from the University of South Alabama with a degree in Latin American Studies. After graduation John deployed to both Afghanistan and Iraq as member of the U.S Army Special Forces. John was awarded both the Combat Infantry Badge and Bronze Star for his service. After his military deployments were finished John became a contractor for the DoD in a program with the goal of keeping American soldiers safe from roadside bombs. During his time as a contractor, John took the opportunity to take an online Home Inspection course through the American Home Inspector Training University. After completing AHIT John successfully passed the National Home Inspector Exam and the ASHI Standards of Practice exam and was awarded his license as a home inspector in the State of Alabama. John joined Alabama House Whisperer and has performed more than 500 fee paid property inspections over the last couple of years and is now an American Society of Home Inspectors (ASHI) Certified Inspector (ACI). This is the highest certification classification for ASHI inspectors. Remember, price should only be one consideration when shopping for a Home Inspection. Alabama House Whisperer encourages you to consider quality; ask questions, check if the inspector is an ASHI CERTIFIED INSPECTOR (ACI), check for a Home Warranty, do your research, read reviews and remember: you get what you pay for. Your Home is More Than a Piece of Property; It’s Your Peace of Mind!